Things have been quite chaotic around the house this week. We’re still in the middle of trying to sort out the contents of the spare room and finish putting together Sophie’s room. Most of the contents of the spare room have been dumped around the house as we had to clear it when the new carpet was fitted. As you can imagine, life with a new baby makes it tricky to find time to sort out the clutter though. We’re slowly getting there but I do feel like I’m surrounded by chaos in the meantime. Emotionally, this week has also been all over the place. We ventured out for the first time last Friday and took Thomas to visit Jessica at her forever bed. It was a very emotional visit although ended up being a brief one as we also had an appointment to register Thomas’s birth. This week has also seen us register Jessica’s death now that we have the results of the post-mortem. We still don’t really know why she died so suddenly though. Registering Jessica’s death and visiting her forever bed have naturally stirred up emotions but there have also been unexpected triggers this week. 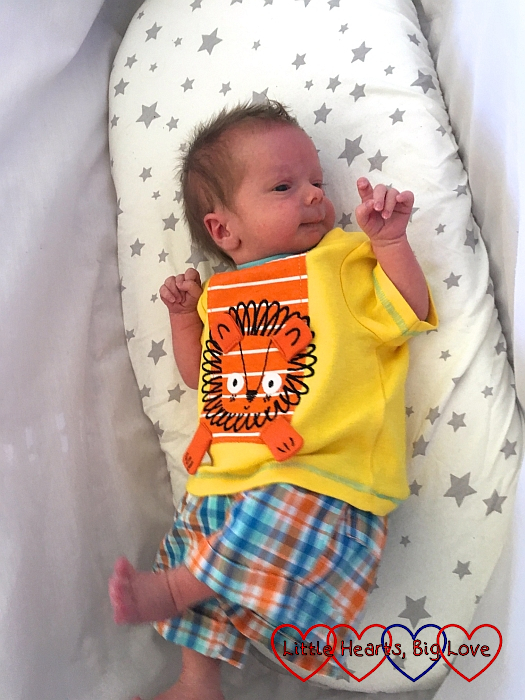 Thomas had his newborn hearing check at one of our local hospitals this week. The last time I visited that hospital was when Jessica was about a year old. She was under the Audiology team there for a few months due to having some fluid in her middle ear. It wasn’t a hospital we’d had a strong connection to and so I wasn’t prepared for how hard the memories of being there with Jessica would hit me. Buying some little summer outfits for Thomas. 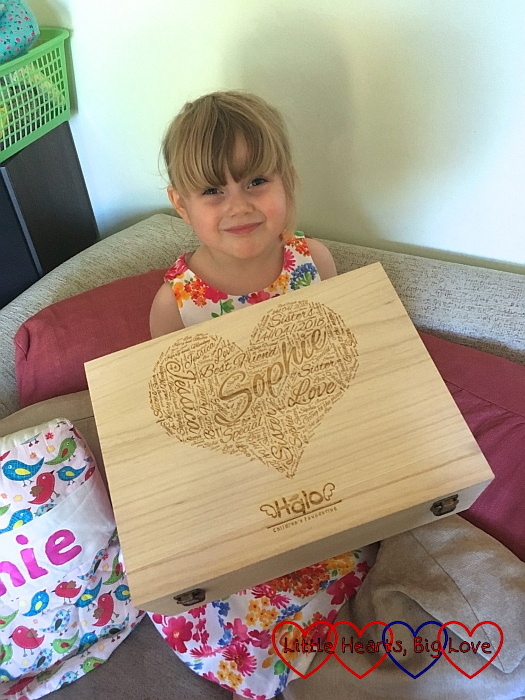 Sophie receiving a beautiful personalised memory box from Halo to put things in that remind her of Jessica. She asked if she could go and visit Jessica to tell her all about it. It was the first time she’d asked to go to GreenAcres. Removing Sophie’s plaster cast. 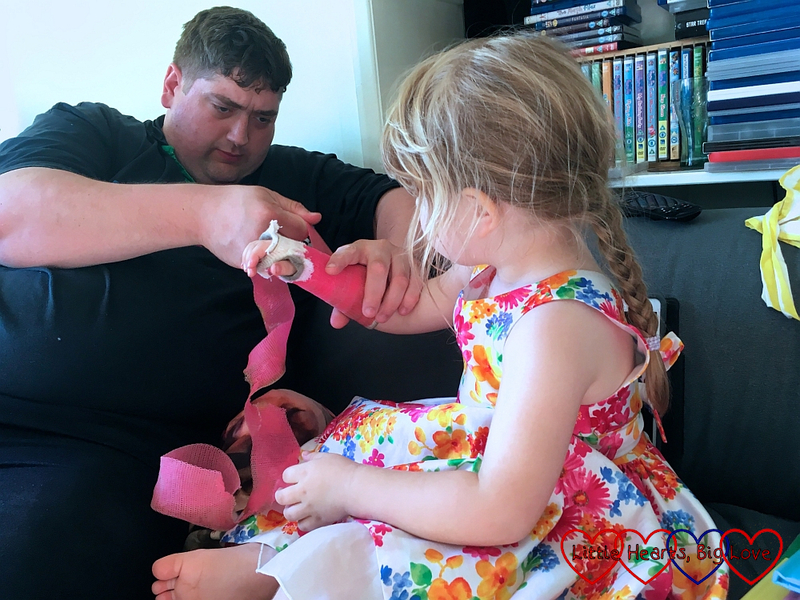 We were able to remove it at home as it was a soft cast and the fracture clinic didn’t need to see her again. Giving Thomas his first bath. He was quite happy being bathed in the big tub with Sophie and she loved showing him all the bath toys. 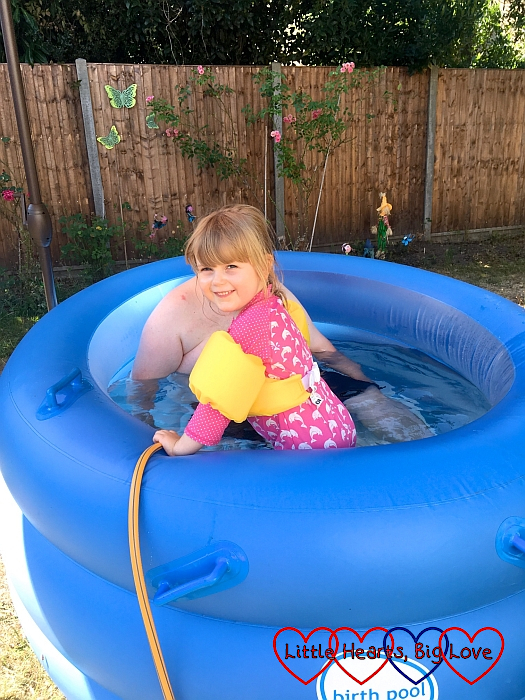 Using the birth pool as a big paddling pool in the garden. A visit from my mum and sister. 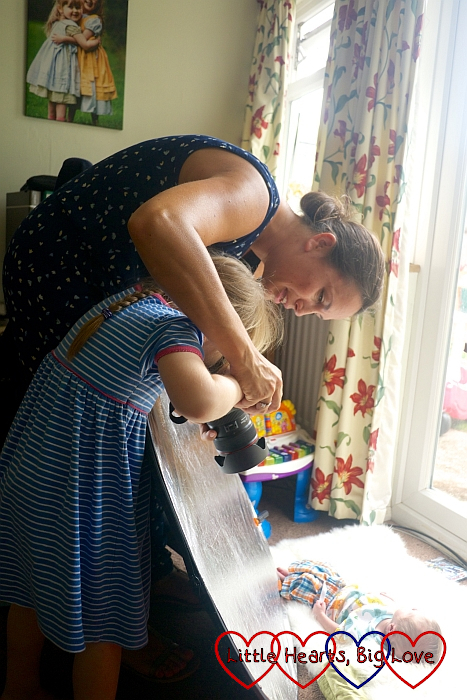 An afternoon catching up with my friend Mel and seeing all the beautiful photos that she took of Sophie and Thomas. Sophie telling me that she is “so proud” of her baby brother. Thankfully hubby’s home to help with it but still hard to make progress at the moment – we’ll get there though! Thanks Emma, we’re gradually chipping away at the piles of stuff! Sounds like a week with positives staacking up. What a delightful summer outfir Thomas has. It was lovely to hear that Sophie wanted to tell Jessica all about her memory box and that she is proud of her baby brother. Hugs for you all. You have been busy! You will get the bedrooms sorted eventually. It sounds like you are making good progress. Aww! What a cutie Thomas is. I love his outfit. Thank you. 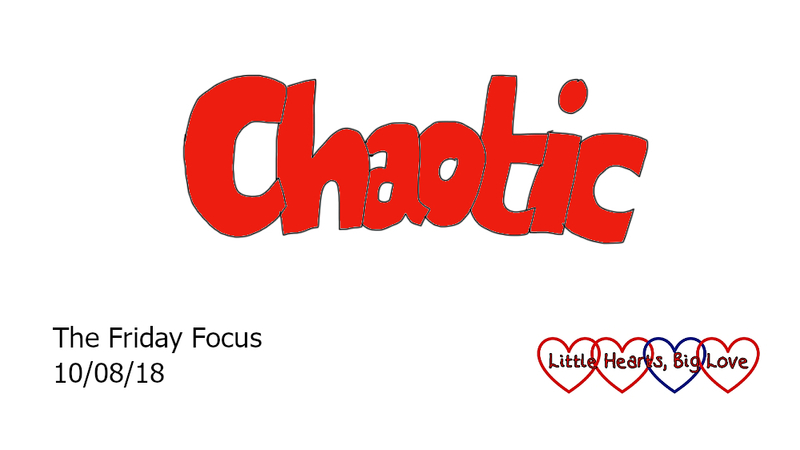 I get frustrated by the chaos – hopefully we’ll get things organised soon!